PRESS RELEASE: Stuart Hamm, one of the world's biggest bass talents, is coming to the UK in August to do three exclusive evenings of Hartke Bass masterclasses. Stuart takes innovative bass techniques to new heights. 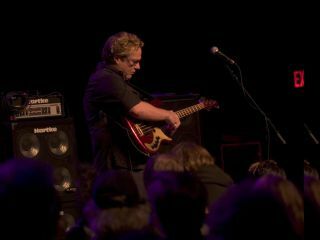 He's toured the world doing clinics, while his G3 project and long-time association with Steve Vai and Joe Satriani has given him worldwide recognition. If you'd like to learn from of the all-time greats, come along to a venue in your area. Call 01206 751 173 for more information. Stuart will also be appearing at the International Guitar Festival and Summer School from 24 July - 8 August. Full info at www.igf.org.uk.